It’s easier than ever to go bird watching in your own backyard, especially during the spring and fall migration seasons. 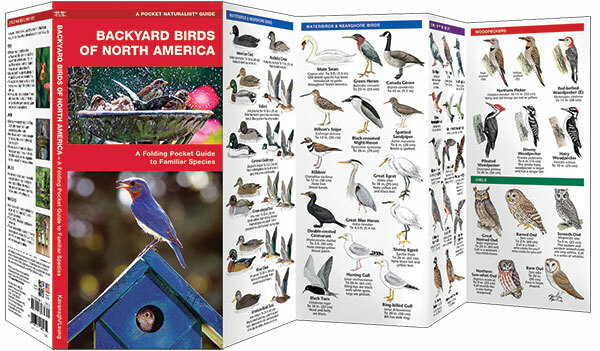 Backyard Birds of North America is the ideal pocket-sized, folding guide to help identify the birds at your feeder or those in migration. Clear, detailed illustrations highlight over 140 familiar urban species. 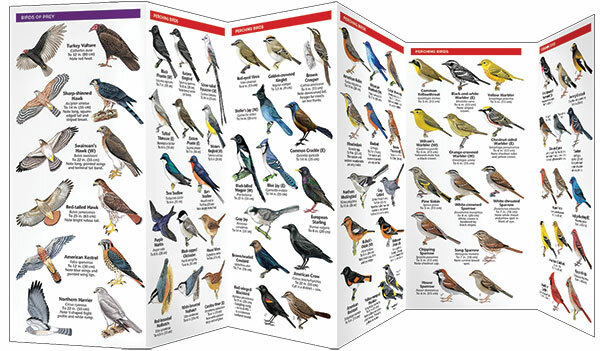 This lightweight guide also provides the reader with instructions on attracting and feeding backyard birds. Created and printed in the USA, this guide was updated with a new cover design and laminated for durability. This is the perfect companion for both novice and expert bird watchers. Made in the USA.